The fourth-generation Floridian says he’s running to ensure Florida remains as fiscally sound as he says it is today. It's been a while, but Jimmy Patronis has thrust himself into campaign heat once again. After three years of working in plum positions Gov. Rick Scott appointed him to, he's fighting to hold onto his current cabinet-level job as the state's chief financial officer. 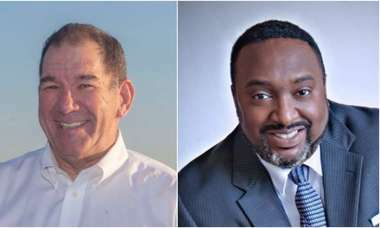 The incumbent candidate for CFO was born to the well-known Panama City family behind Captain Anderson's restaurant and has remained involved with the restaurant — and politics — for most of his adult life. Patronis, 46, earned his associate's degree in restaurant management from Gulf Coast Community College and his bachelor's degree in political science from Florida State University. The Republican candidate interned in the Senate while attending FSU and was appointed to the Florida Elections Commission upon graduating. In 1998, he was re-appointed by then-Gov. Jeb Bush. In the years that followed, Patronis represented Northwest Florida in the statehouse. Patronis says he's running to keep the seat to ensure Florida remains as fiscally sound as he says it is today. 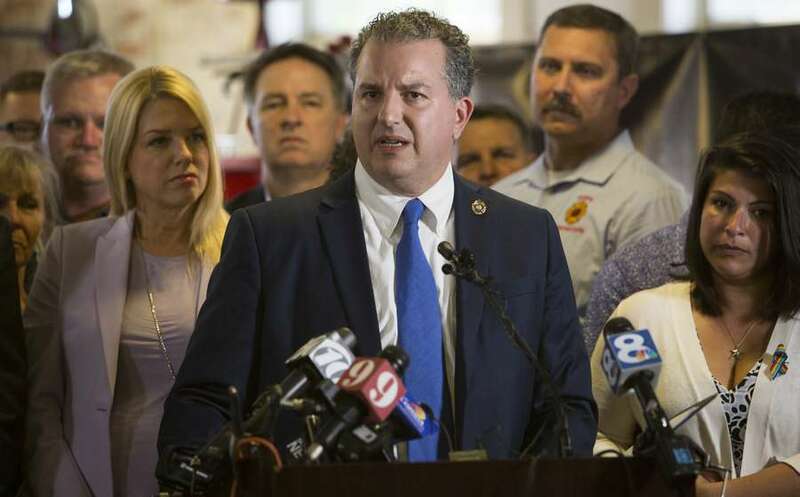 Patronis' first brush with politics was as an intern for former Broward County state Sen. Ken Jenne but he said he had little interest in ever returning to serve in the Legislature. After the internship ended, he worked at home in the family restaurant, at the Panama City Chamber of Commerce and eventually the local airport authority. "I didn't see myself serving in the Legislature," Patronis said. "But I had a lot of support to run in 2005." In 2007, Patronis' first legislative session as a representative, he became interested in health care and expanding benefits for members of the service industry. Rick Scott was interested in his ideas and the two became friends after an introduction from election attorney and former state Rep. Juan Carlos Planas. 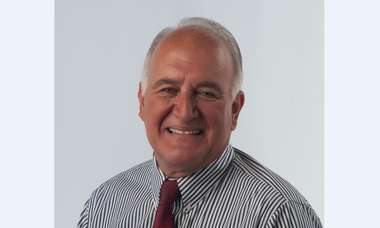 Though Patronis did not have much name recognition at the time, he made his mark on the future governor as one of his first supporters in 2010. In exchange for his loyalty to Scott ,Patronis has been rewarded handsomely. His current seat as CFO is the most recent of three consecutive appointments by the two-term governor. Scott first appointed Patronis to serve on the Public Service Commission and then appointed him to his self-titled "dream job:" the Constitution Revision Committee. The CFO's salary, effective July 1, is $128,972 a year. Patronis' wife, Katie, a real estate agent, was also twice appointed by Scott to the Gulf Coast College District Board of Trustees in Panama City. "Gov. Scott has been a mentor to me," Jimmy Patronis said. "Whether it's through my family business, health issues … there's a number of things on which he's been a real source of reference, advice and guidance." Scott, who donated $3,000 to Patronis' campaign in September, often makes it a point to stop at Captain Anderson's while on the campaign trail. Rep. Evan Jenne, a former colleague and longtime family friend, said he's known Patronis since he interned for Jenne's father. He remembers Patronis being one of the first people who openly supported Scott. Loyalty goes a long way with the governor, Jenne said. "I don't think you'll find anyone who is more loyal to Rick Scott," the Dania Beach Democrat said. "You dance with who you came with. Jimmy was there on day one." Former House Speaker and Panama City businessman Allan Bense knew Patronis far before he entered the political scene. Bense, who once bought a bank with Patronis' father and uncle in 1981, said the Patronis family is "like gold." He said he's helped Patronis "open a few doors financially" and often offers him political advice. "They made me my first million dollars," Bense said. "I'm forever indebted to them. They are what you want every successful businessperson to be." Hinkle credits the organization for giving Patronis an interest in statewide politics. The 26-year-old novice came with the knowledge of his family's restaurant business, but the program was an "eye-opener" to the rest of the world, she said. "He was a little full of himself, but it didn't take long for him to realize he was in a mix of people who were very accomplished," she said. "He saw a much bigger world out there." "There's plenty that I disagree with wholeheartedly on policy, but he is a good human at his core." Others criticized Patronis' vote on the Public Service Commission to approve a $811 million rate hike for Florida Power & Light. "Rick Scott is propping up yet another yes-man rather than prioritizing the needs of working Floridians," the Florida Democratic Party said in a statement after Patronis' appointment as CFO. "This governor has stacked nearly every appointment with special interest lackeys rather than the most qualified candidates." Earlier this summer, an FDLE investigation found that Patronis' driving records were accessed by a researcher who was hired by Democrats to access confidential information. State investigators found that the researcher's actions were not illegal. The Patronis campaign pointed a finger at Ring, a former state senator, for the breach. Then in June, Politico reported that Patronis crashed a state-issued Chevy Tahoe on his way to a political consultant's office last year. Ring's campaign has mentioned the incident in various emails. "This is what people do to change the agenda," Patronis said. "In 39 more days, nobody will hear or see compare and contrast. They can turn on their TV to watch football and not see a political ads. Katie Patronis says the tense campaign is not easy on their family, but that Patronis makes an effort to include her and their two young sons. She says her husband will take one of their sons at a time to make a stop on the trail or go door-knocking with the rest of the family. "He's talked about how he's seen people run for office who don't talk to their families," she said. "He always has had a priority to make sure that everyone's on board." While some opine that cabinet-level positions — especially that of the CFO — are a route to the governor's mansion, Patronis denies having a plan. "I have never in my life been a goal-setter," he said. "If you work hard, show up, do your homework and treat people with respect – good things can happen." Since Patronis took office, he has made an effort to prosecute insurance fraudsters who "drive up rates for people like you and me," he said. He is proud of the numbers that show for it. "We have made over 800 arrests and 700 prosecutions," Patronis said. His first major experience handling insurance fraud and vulnerable customers was during Hurricane Irma, which Patronis likened to a "baptism by fire." "It was a disaster," he said. "Scoundrels get between customers and their insurance to take advantage of them." ▪ Retirement: The CFO serves as a trustee of the state retirement fund. Patronis says the state's retirement system is the key to recruiting and retaining state employees. He says since he was a state representative, the retirement system has taken on a more significant role. "It's what keep Florida's economy strong," Patronis said. "We can't keep employees unless we have a retirement system that is solvent." Patronis' reputation on the clemency board has been less than sterling. Earlier this summer during a clemency board hearing, an African-American man was looking to have his civil rights restored after serving a sentence for a felony charge. The Florida Phoenix reported then that Patronis asked the man how many children he has, and "how many different mothers to those children?" This HBO comedian ridiculed Florida's clemency process. Rick Scott takes it seriously. However, Patronis told the Times/Herald that he takes the clemency board with a "tremendous amount of seriousness." "It's emotional," he said. "I wouldn't sleep well at night if I didn't take a deep look." When it comes to Amendment 4, he said he'll let "the voters will decide." ▪ Professional: After graduating from college, Patronis was appointed to serve on the Florida Elections Commission. He was later re-appointed by Gov. Jeb Bush. ▪ Education: Patronis earned his associate's degree from Gulf Coast Community College and his bachelor's degree from Florida State University. ▪ Family: Patronis is a fourth-generation Floridian and was born and raised in Panama City. His family owns the historic Captain Anderson's seafood restaurant in Panama City Beach. Patronis lives in Panama City with his wife, Katie, and sons Theo and Johnny.